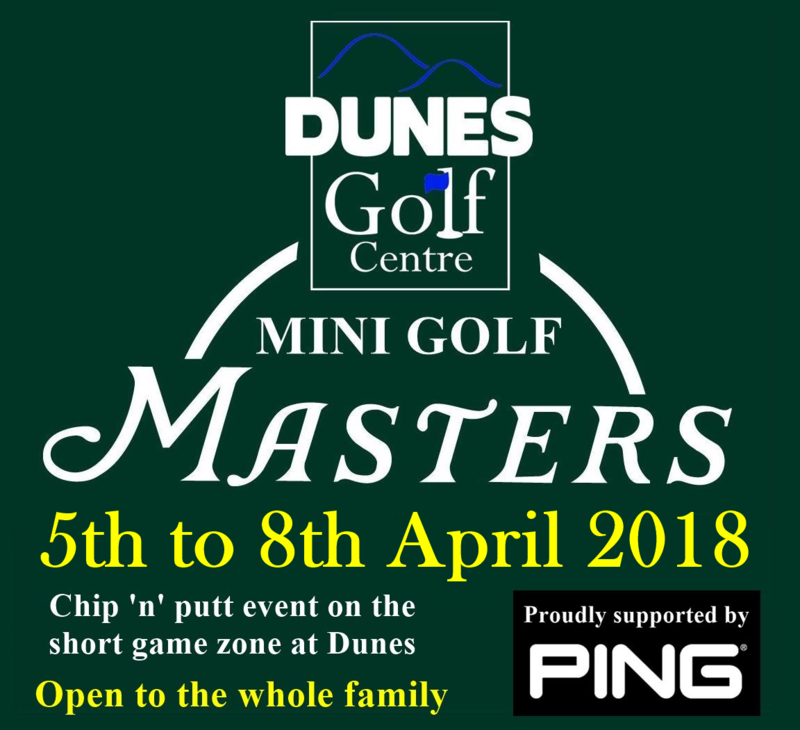 Are you a chip ‘n’ putt Master? For each of the real major events in golf we host our very own Mini-Golf version. These events are for everyone to enjoy, young and old! We have carefully designed a fun yet challenging 9 hole chip n putt course that will test all skill levels from complete beginner to professional golfer. There are no handicaps being used so it is open to everyone, including complete beginners! You don’t even need any clubs or balls as these can all be provided free of charge! You have to play with at least one other person so they can mark your card and sign it to say that it was a true representation of what you scored. We don’t want to see any cheating and any one that deliberately does will be publicly shamed! You can enter as many times over the 4 days as you wish. Your best score will be the one that counts. Each attempt at a round (9 holes) costs £2.50 for adults and £1.50 for 13 and unders. You must sign in and pay your entry fee in the golf shop before the commencement of any round. If you decide to abandon a round and start again then you will have to pay another entry fee. Latest time for entry is 3pm on the Sunday. No games can commence after this time. In the event of a tie for any prizes, a countback rule will apply: Best last 5, Last 4, Last 3, Last 2, Last 1. If still tied then Last 6, Last 7, Last 8. If no outright winner can be detirmined then a random draw will take place. PLEASE RESPECT THE PUTTING GREEN! No big swings from the green surface as this can cause damage and spoil it for everyone else. Please take care and avoid damaging any part of the green and surrounding areas.